An Alaska Airlines jet waits, covered in snow, at Sea-Tac International Airport on Jan. 1, 2017. Media: This photo may be shared, courtesy of Alaska Airlines. A total of 36 flights were canceled as a result of this morning’s snow and ice. No further cancellations are anticipated, however many flights continue to experience delays. Customers with travel planned today and tomorrow are encouraged to check the status of their flights at alaskaair.com before heading to the airport. 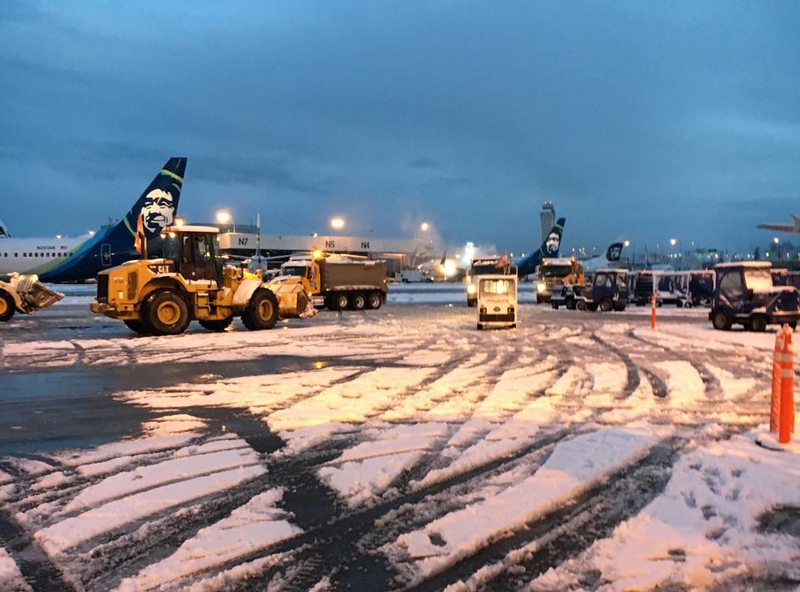 An unexpected accumulation of snow overnight is resulting in flight delays and cancelations in and out of Sea-Tac International Airport this morning, as ground crews work to deice and clear snow from airplanes. So far, 36 flights have been canceled (about 7 percent of Alaska’s total flights), with numerous delays. 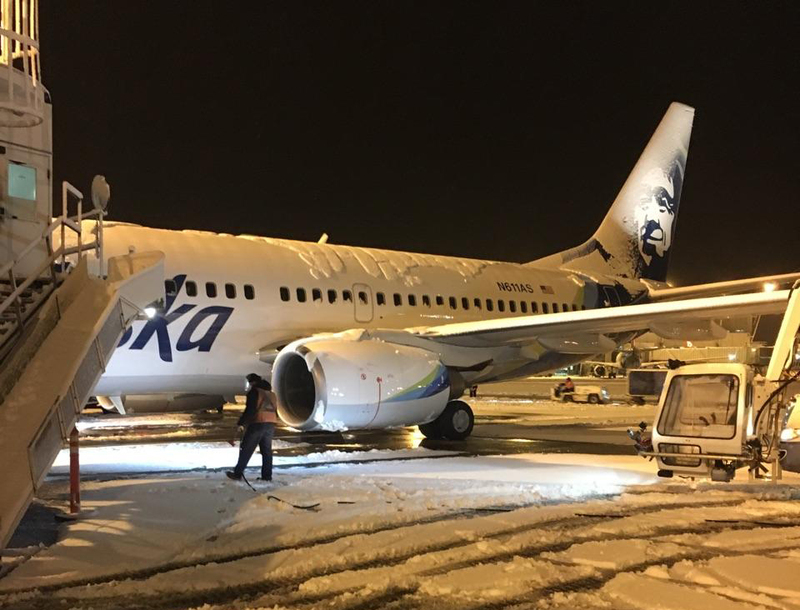 If you have travel planned today, please check the status of your flight at alaskaair.com before braving wintry roads on your way to the airport. Alaska Airlines airport crews are hard at work combatting overnight snow accumulation at Sea-Tac International Airport on Jan. 1, 2017. Media: This photo may be shared, courtesy of Alaska Airlines.